netgalley – It's Time to Read! I received this from Netgalley to give an honest review. I LOVE Jenny Colgan! 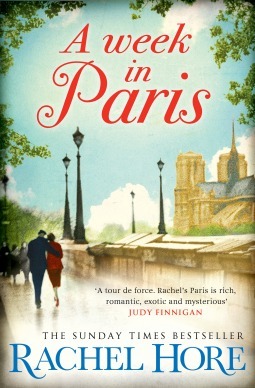 She is one of my favourite authors so I was very happy to receive this book from Netgalley. In this novel, we return to Mount Polbearne and to Polly. 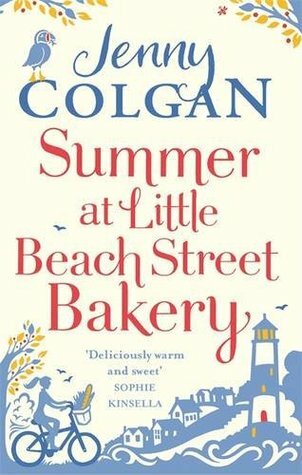 Things have been going well for Polly, but then Mrs Manse, the owner of the bakery dies, and this starts to cause trouble for Polly. This book has is all. There is love, friendship, the beach, money, a puffin named Neil and the beach. There is sadness and great joy. This is a great read. I really enjoyed it. I found I couldn’t put it down. I loved returning to Mount Polbearne, and am a little disappointed I have finished the book. Then a curious stranger lands at Chelsea’s door, and with him, an even more curious string of events. 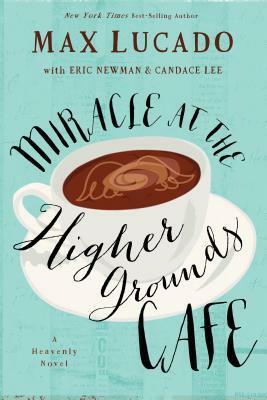 Soon, customers are flocking to the Higher Grounds Cafe, and not just for the cupcakes and cappuccino. They’ve come for the internet connection to the divine. Now thecafe has become the go-to place for people in search of answers to life’s biggest questions. I have read several books by Max Lucado over the past few years but I have never read a fiction novel by him before. I didn’t know what to expect. I really like his theological books – I find them so easy to read and very helpful for my walk with God, but what was his fiction going to be like? Well, I loved this book! This story follows Chelsea, recently single with two children, reopening her family’s cafe. She has taken a big, risky step, and things don’t really go to plan. She is helped by Manny, her strange new employee. He gets a very interesting internet router installed. This connection only loads one page: the God Blog. This is a place where you get the opportunity to ask God just one question. This draws in the crowds, but still leaves Chelsea at sea when it comes to her private life and her faith. This story follows her through this transition into a new life. Will she repair her marriage? Will she find God? Will her business survive? This book had me gripped from the start. I liked Chelsea. I felt for her as she struggled with her public break-up, as she had to face her husband’s infidelity in front of the world, and I really wanted her to succeed in her new cafe. She had a damaged outlook on life, and I liked watching her soften as the book went on. I thought she was well written and so easy to like. I could imagine her in real life, facing the everyday struggles. She had to face debt, hostility from family and her own shame. This book took her on quite the adventure and I enjoyed watching her walk through this season. This book has two elements: the natural world and the supernatural. I seem to be reading a lot of books at the moment which feature guardian angels – Katy Hollway’s The Remnant Chronicles and Frank E. Peretti’s This Present Darkness. 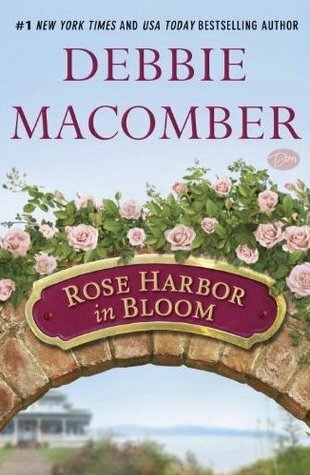 This novel also has guardian angels, and I love how Lucado uses the angels to explain how God is always with us and always by our side. 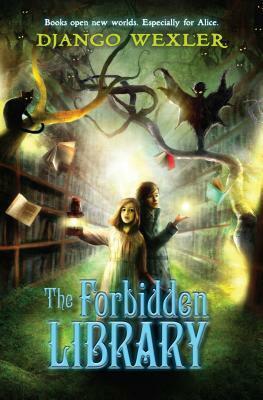 I liked the element of the supernatural, it added another level to the book. Lucado was able to use this idea to show darkness can creep into our lives and yet how with one prayer the light pierces the darkness. This is a great story. Like I have said, I was gripped from the start. I read this book in one day – each time I could grab this book I did. This was easy to read and so enjoyable. Some of the storyline was a bit predictable and some of it seemed a little far fetched, but I found it really enjoyable. What I liked most was that at the end of the story, Lucado takes us to Jesus on the cross and reminds us of what He did for us there. We never have to walk through life alone because through Jesus’ death, He made a way for us to have a relationship with Father God. It was a gentle and powerful reminder of such an amazing truth. I am rating this book 4 out of 5 because it is a great read. I did find some of it a bit predictable and some of it a little unbelievable, yet I loved this story. It was so good. Thank you Netgalley for letting me read it. This is a highly recommended read. Book number 53 was a review book from Netgalley. This is the first fiction book from Max Lucado which I have read and I loved it! I read this book in one day. It had an engaging story, characters I really warmed too and a lovely glimpse of the Gospel and all God has done for me. I won’t write anymore here as the review is to come, but safe to say, I loved this book and highly recommend it. 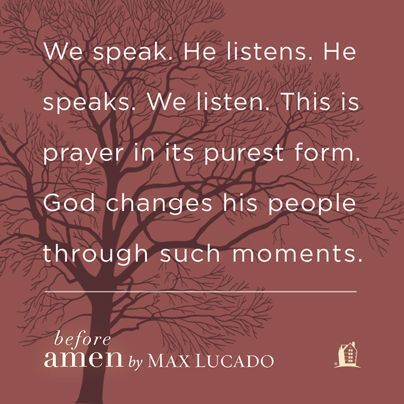 In “Before Amen” best-selling author Max Lucado joins readers on a journey to the very heart of biblical prayer, offering hope for doubts and confidence even for prayer wimps. Distilling prayers in the Bible down to one pocket-sized prayer, Max reminds readers that prayer is not a privilege for the pious nor the art of a chosen few. 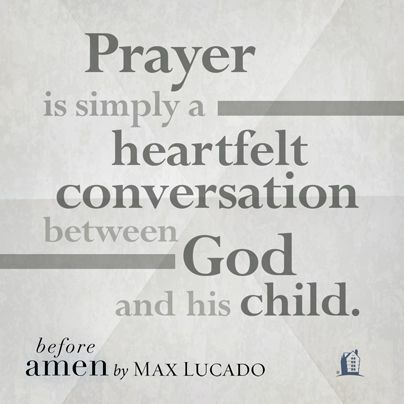 Prayer is simply a heartfelt conversation between God and his child. Let the conversation begin. 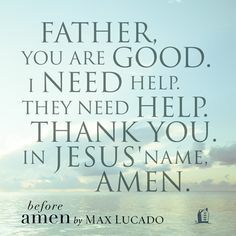 I requested Before Amen from Netgalley because I really like Max Lucado. I find him incredibly easy to read and all of the books I have read have made an impact in my life. I was really excited when I noticed that the Proverbs 31 Ministries Online Bible Studies was going to do a four week study through the book Before Amen. I decided as I had the book to review I would coincide it with this study, and I am really glad I did. I’m not going to have a review full of quotes from the book on pretty backgrounds, but you get the idea – this book is pure class. It is easy to read, clear and honest. The book looks at how to pray, our attitude towards prayer, how to pray for others and gratitude. I didn’t have a problem with any of the theology in this book. I agreed with all Lucado all the way through and it was a great reminder of how important prayer is. I really liked the study questions too. It gave me a chance to process what I had read, think about my life and attitudes, and it gave me a chance to be before God. This book is full of Scripture. This book is fully rooted in the Bible, and I really liked that. I was able to flick through my Bible and check out some great Scriptures that I could apply to my life. If you want a book on prayer, this is it. Lucado is honest about his prayer life and he keeps taking us back to the Bible. This is not a long book, it only has nine chapters, but it was helpful and easy to read. The theology is easy to understand and apply to our lives. This is a great book on prayer and how it can change our lives and our walk with God. It is easy to rate this book 4 out of 5 because it is simply a stunning book on prayer. Thank you Netgalley for letting me read it, and thank you Max Lucado for writing it, and helping me with my prayer life. 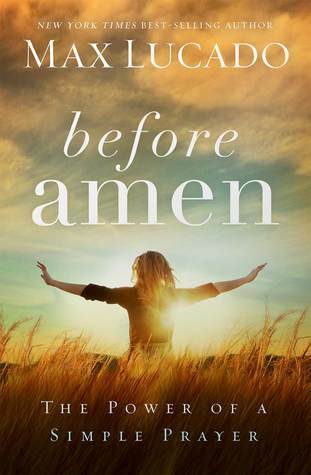 Book number 51 was a Netgalley review book, which I read whilst participating in the Proverbs 31 Online Bible Studies: Before Amen by Max Lucado. I won’t write too much here as I am currently thinking through my review, but I will say, I loved this book. Such a helpful tool when it comes to looking at our prayer life. This isn’t a long book – just nine chapters, but with study questions to go alongside it, I found it really helpful. I was able to focus on God and learn more about Him. I was challenged and I think I have grown from this book. Well worth reading and applying to your life.